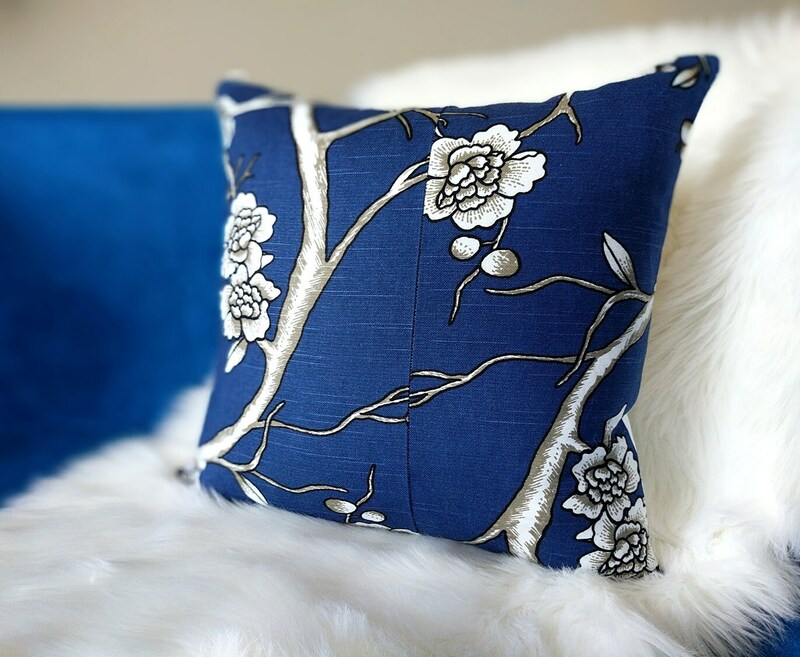 Beautiful pillow cover featuring Dwell Studio's Vintage Blossom in Twilight navy blue. Other side is plain white. As pictured. 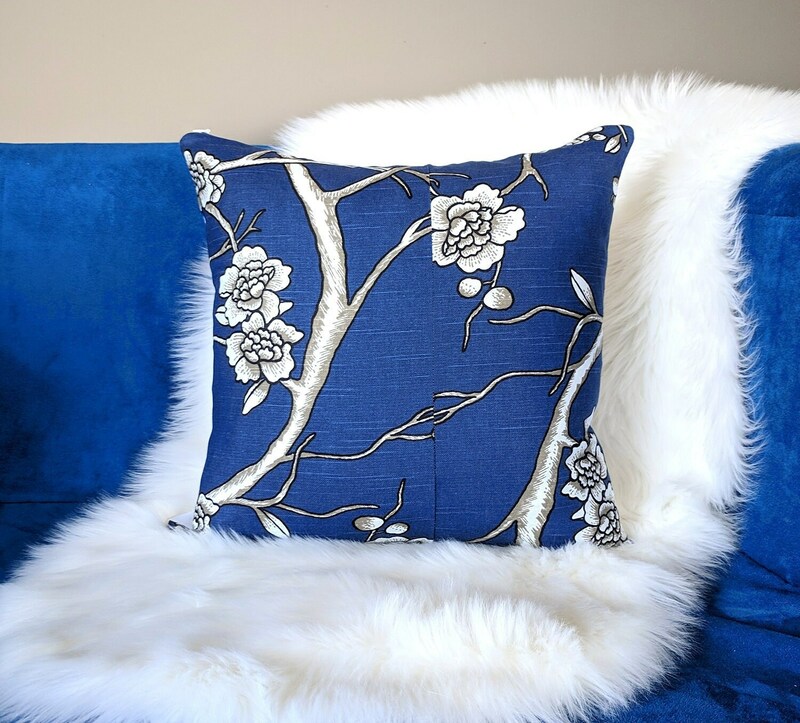 Very nicely done and at a very good price.